TomatoNetwork creates simple, usable and attractive web sites that put the user experience at the forefront from planning, through development, onto deployment and beyond. 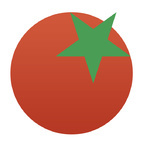 TomatoNetwork...Read moreTomatoNetwork creates simple, usable and attractive web sites that put the user experience at the forefront from planning, through development, onto deployment and beyond. TomatoNetwork only uses the highest standard in graphical design techniques to ensure your company has a professional look. TomatoNetwork endeavors to provide solutions that not only meet web and disability standards, but also promote good Search Engine Optimisation (SEO) practices using XHTML/CSS.